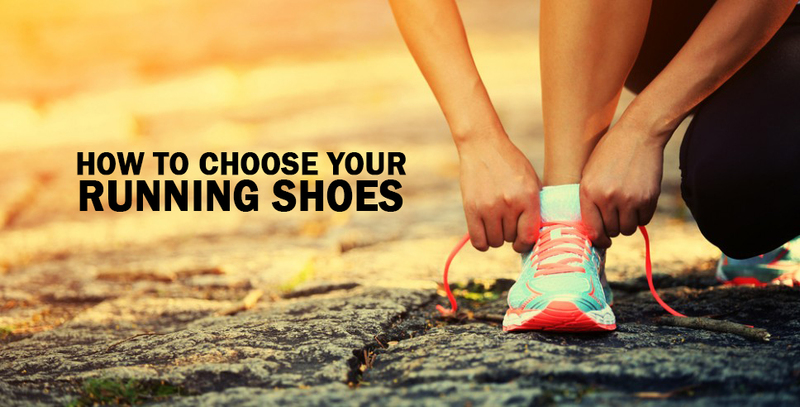 With such a wide- array of options available, it is very difficult for a runner to choose the “BEST” shoes. Moreover, there is no single best shoe… everyone’s feet are different: hence the different shoe styles. A flat feet (over-pronation) is characterised by reduced arches due to inward rolling of the heel over the leg. Such a foot is highly mobile and unstable and requires more support around the heel to control such motion. A neutral foot is characterised by natural arches and mild inward movement of the heel on the leg during a run. This is a normal trait for biomechanically efficient runner. Such foot types can normally run in a variety of foot wear. Feet with higher than normal arches fall under the category of over-supinated feet. Such feet are generally very stiff and benefit from flexible, cushioned shoes to allow more movement and shock absorption. Cushioning refers to the amount of padding in the shoe. A neutral or a flat foot type would tend to roll even more inwards with extra padding. On the other hand, a high-arched foot would benefit from extra cushioning for better shock absorption. This refers to the difference in the height of the shoe at heel and toe level (Figure 2). A low to medium heel-to-toe drop promotes midfoot strike and is best suited to high arched or neutral foot type. Alternatively, a high heel-to-toe drop (10-12mm) benefits the flat footed by reducing the inward movement at the heel. Please note: Heel drop and cushioning are independent of each other. It is possible to find extra cushioned shoes with zero heel-to-toe drop and vice-versa. Heel counter refers to the rigid structure of the shoe around the heel. This feature controls the inward motion of the heel during landing and is best suited for the flat-footed runners. Conversely, a stiff heel may further restrict movement in the high arched runners, leading to knee or low back pain. Medium arch support is good for runners with flat or neutral feet. Table 1 summarises the shoe features suited to each foot type. Once you have determined the category of your shoe type, try on a few varieties to determine what suits your feet the best. Make sure that the fit is snug, but not too tight (allowing your foot to move without rubbing). Lastly, don’t rely on your shoes to do all the work for you. In most cases, corrective exercises can rectify the arches of the feet.